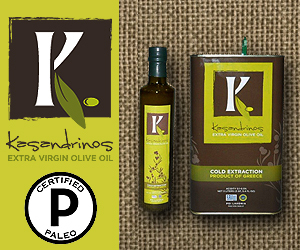 Rich, nutritious and a tasty salad has a special spot on our dinner table every night. I love Romaine lettuce and so are my kids. 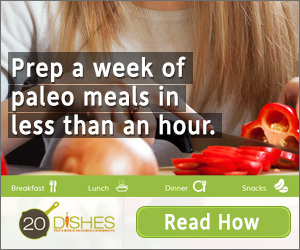 I make it Paleo friendly with adding different meats, fish and fat for a complete nutritious meal. 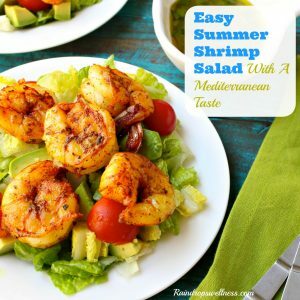 Today’s recipe is a delicious easy summer shrimp salad with a mediterranean taste. 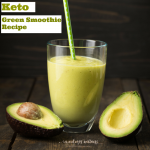 Smoothies are a hit in my family and I am always looking for new ideas to make them richer and tastier. I have tried ten of these smoothies so far and I really enjoyed them. I can’t thank my blogger friends enough for providing me with a great list to share with my readers.